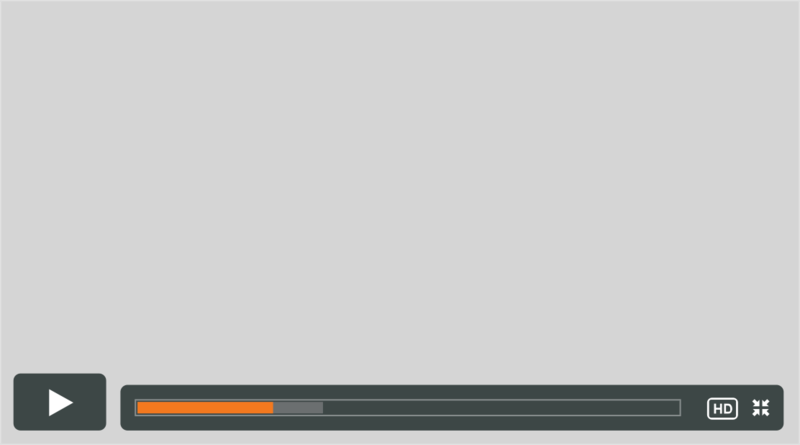 In 2010 as a High School Teacher, I was dissatisfied with how students were being taught engineering concepts and so I started to think about ways to overcome this. 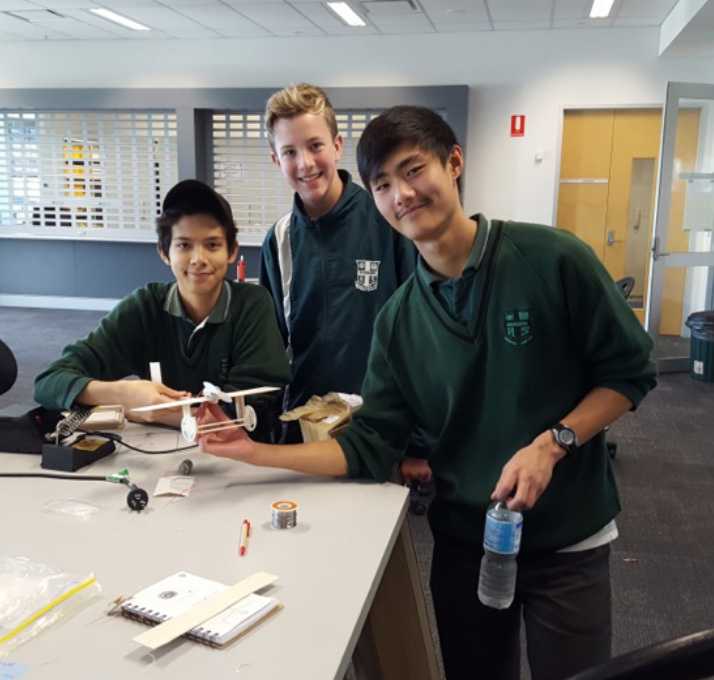 I had always dreamed of having a flying version of the Co2 dragster and so the journey started to invent a unique product that students could use to solve some real world STEM problems. And so my company ‘Excite + Educate’ was born. Seven prototypes, several thousand dollars, several thousand hours and seven years later, here we are with “Rocketman”. Our Bottle Rocket Launcher is robust safe and easy to use. Rocketman, our Bottle Rocket Launcher is unique in education circles (and in the world for that matter) because it was designed exclusively for the education market with school students in mind. As a result, the students take control of their learning resulting in very high level of engagement. Read more. Rocketman is robust, safe and fun! Robust: Rocketman has been designed specifically for the school environment so its robust enough to withstand the rigours of everyday school use. Safety: Comes with a pressure limiter to prevent accidental bottle rupture. It features 5 metre fill lines to ensure that students are a safe distance away. Fun: Rocketman gives the student an unbeatable opportunity to see their creation take to the sky again and again. It’s designed with the WOW factor built in. Rocketman: is made from a complete set of high quality components to withstand the rigors of the typical high school environment. The unit is completely waterproof and is designed to fold down for easy storage. Read more. Over the last 2 years and continue to do so, the success and popularity of the Rocketman prompted an innovative competition called the Aeronautical Velocity Challenge (AVC) in 2014. The competition is now in its 4th year and is growing bigger every year. Why not enter a team? “We purchased Rocketman from Excite and Educate and it has been a most worthwhile addition to our faculty resources at Griffith High School. 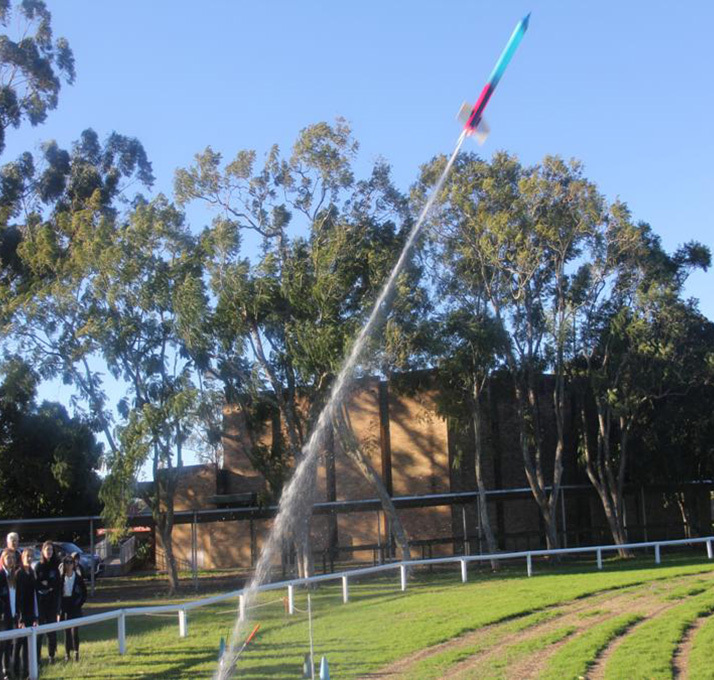 Our students, and staff, have been thoroughly engaged in designing, testing and evaluating Bottle Rockets using enquiry based learning principles. 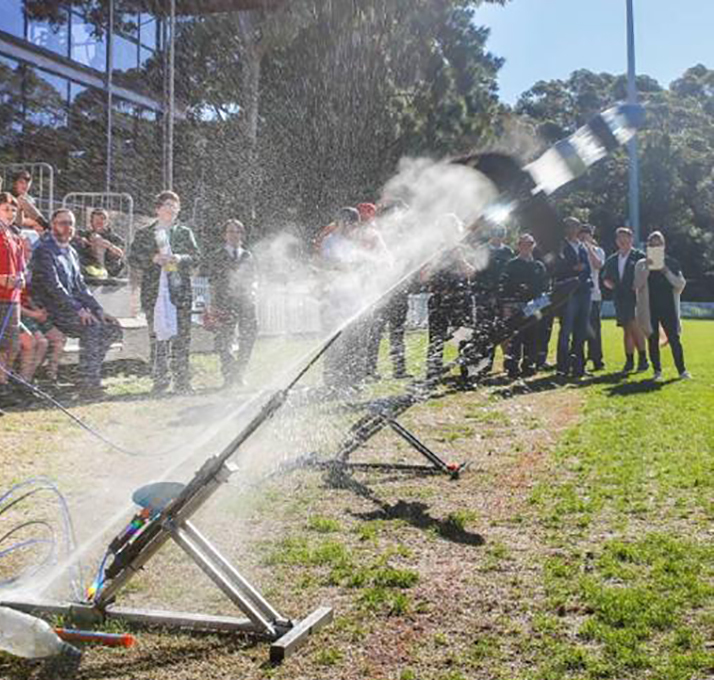 The bottle rocket launcher is a natural fit into either Stage 4 Technology Mandatory, Stage 5 Industrial Technology Engineering, Stage 5 iSTEM or Stage 6 Engineering Studies. The quality of the launcher and the ongoing support Dean Hannah has provided us has been outstanding.”.